O. Ryan Hussain is the author of the novel The Outlandish and the Ego. 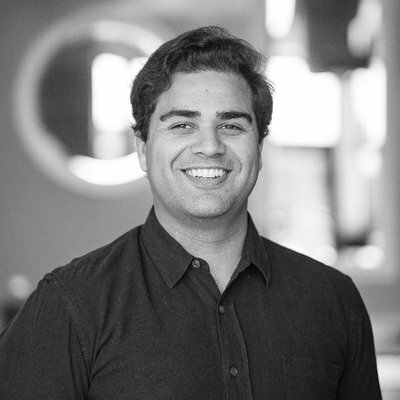 He's a founder and managing partner of the communications firm Defy Communications, which is based in Ann Arbor, Michigan. Q: How did you come up with the idea for The Outlandish and the Ego? A: I was sitting in a waiting room at the doctor’s office and every chair was taken. I was standing off to the side watching the growing impatience in the room. There was one TV in the corner of the room that was blasting Dr. Phil — a show that should have been cancelled years earlier. Soon, every molecule in my body was furious with how long it was taking to see the doctor. And something in that moment spawned the idea for The Outlandish and the Ego. I could feel the demon gnomes that appear in the book crawling all over my brain and down my spine. From that moment forward it was just about piecing together the many arrangements that a story like that requires. Q: Did you know how the novel would end before you started writing it, or did you change things around as you wrote? A: Pretty much from the very beginning of the process I knew how the book needed to start and how it had to end. I made sure I had a firm grasp of each of the characters’ arcs, and then it was just a matter of guiding this world I created from that start to its known finish. Each chapter really was as much about me getting out of the way of the story and simply guiding it from crescendo to crescendo. A: I probably spent 20-30 nights arguing with myself over the title. It possessed multiple titles with different drafts. It was once called American Mayhem, and I’m still not sure if that wouldn’t have been a better title for it. Eventually, I decided I wanted a title that signified both of the plot lines the story unpacked. The Outlandish is very much about the main character and his best friend, Samuel and Roger, and their outlandish journey in solving an absurd riddle that ultimately converges into the other story arc, signified by the Ego. A: I make a point of answering this question by stating Jack Kerouac first. Kerouac is not my favorite writer, but he’s the most important one I ever read. I finished On the Road when I was a teenager and it opened my eyes to the artistry of literature. He bent the rules of prose back so far that it opened up infinite dimensions for me. I knew I wanted to be a writer after that. Hunter S. Thompson, in all likelihood, is my favorite writer. His devious voice and outrageous exploits were only matched by his truly honest and accurate takes on society. The more he became an icon of rebellion and experimental drugs the more I think his true genius got overlooked. But for me he’s at the top. Outside of those two I’m a big fan of Jerzy Kosiński , Joseph Heller, E.L. Doctorow, Charles Bukowski, and Ernest Hemingway. A: I’m knee deep in the outline process for my next book. If The Outlandish and the Ego is a Ralph Steadman illustration, this next book is a Radiohead song off of Kid A. It’s going to be really different and test the notion of identity, reality and loss. I don’t want to say too much more about it but I’m pretty sure I’ll never come up with something better than this. I’m hoping it will be out sometime in 2020. 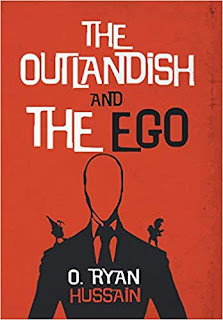 A: I’ve lowered the price of Kindle/E-book version of The Outlandish and the Ego to just $.99. I just want people to enjoy it. Please do!